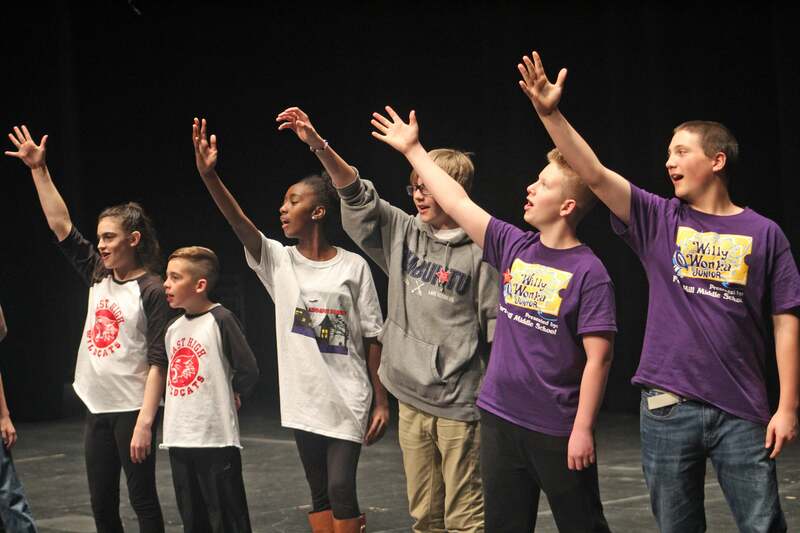 From March 26 - 28, nearly 2,300 kids, teachers and parents made their way to Blumenthal’s Knight Theater for the annual Junior Theater Celebration Charlotte (JTC CLT) to connect with others who share their passion for musical theater. Representing fifty local elementary and middle schools, they participated in interactive workshops to build new skills and refine their techniques. Students also had the chance to perform on the big stage in front of their peers and receive professional feedback. The event is a partnership between Blumenthal’s Education department and New York-based iTheatrics, a leading creative consultant and creator of educational musical theater resources for young people. JTC CLT is made possible, thanks to the generosity of the Doctor Family Foundation, Atrium Health, Publix Supermarket Charities and Rose Transportation. “This all started here at the Blumenthal,” says iTheatrics Founder and CEO Timothy Allen McDonald. Now in its twelfth year in Charlotte, the program has been replicated in multiple cities around the globe, stretching from Manhattan to Salt Lake City, and as far away as Australia. Here are some of the voices and faces of this year’s event—sharing what musical theater and JTC CLT mean to them. For more information on Junior Theater Celebration Charlotte and to make a gift to support next year's participants, visit BlumenthalArts.org/JTCCLT.